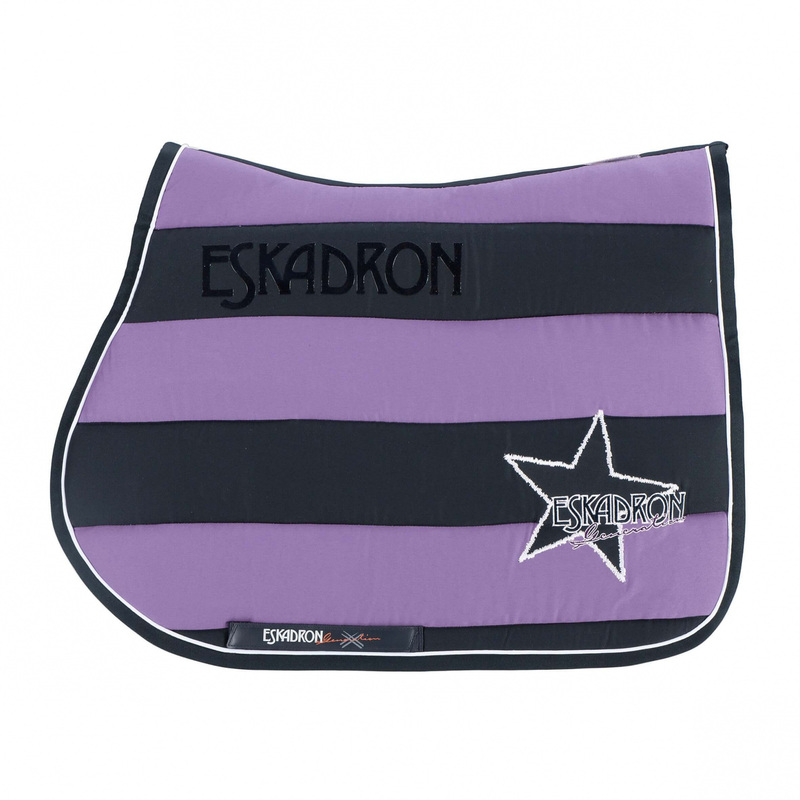 Impressive saddle pad in the colors of autumn-winter NEXT GENERATION ESKADRON collection. Made of high quality cotton. 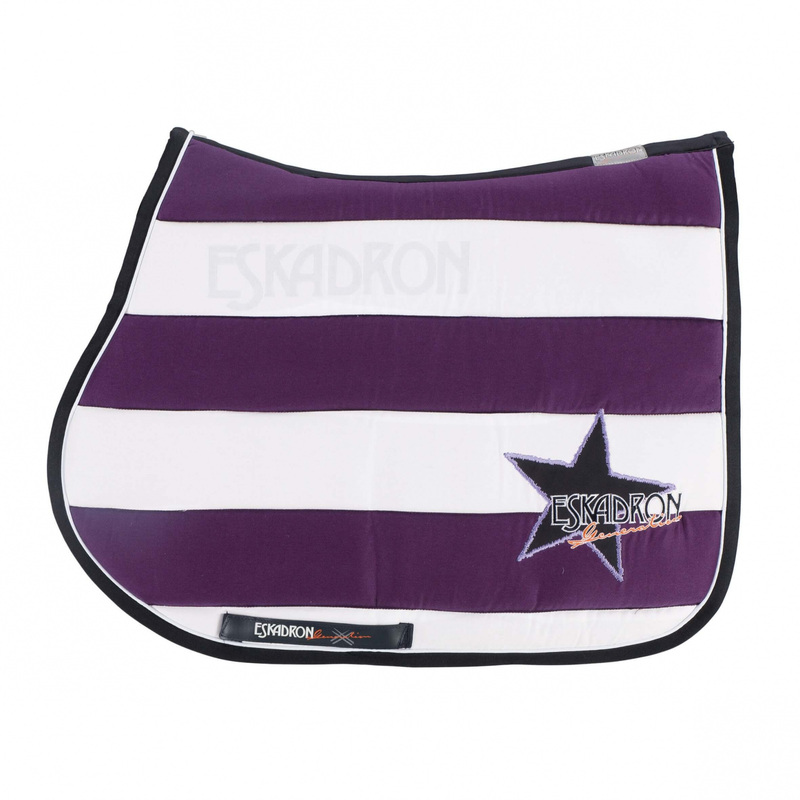 Durable, skin-friendly – ensures good air flow. Does not deform. 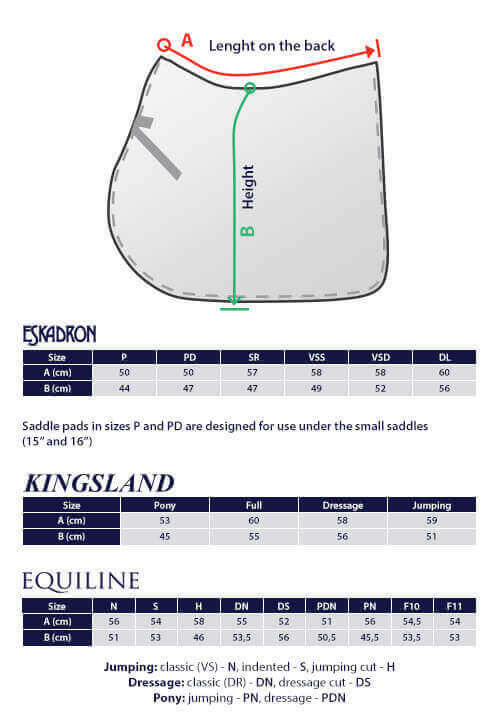 Ideal for training and competitions. 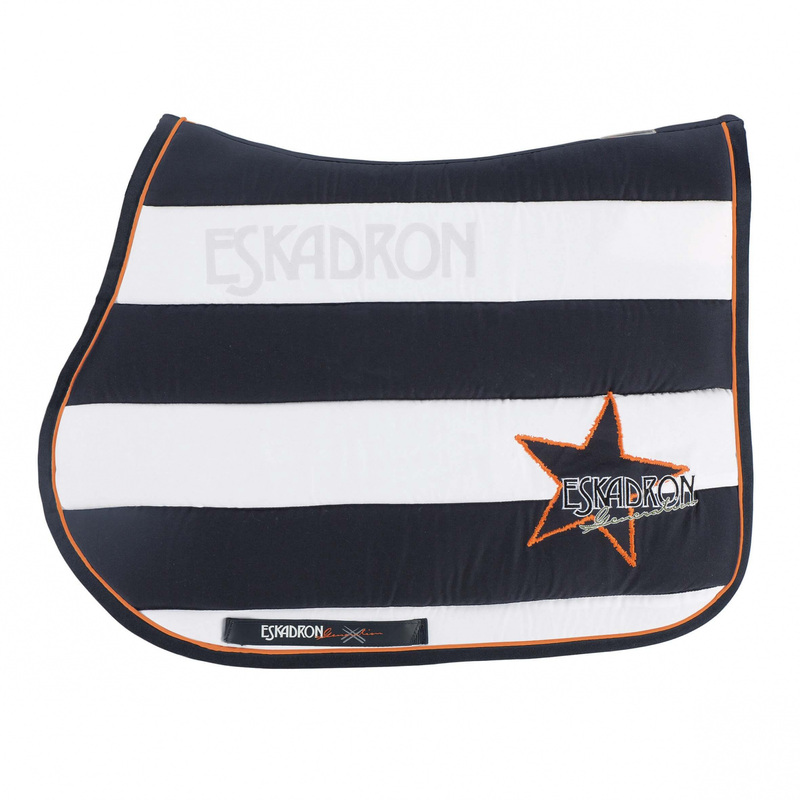 Elegant pad with decorative logo and embroidered on the bottom star. 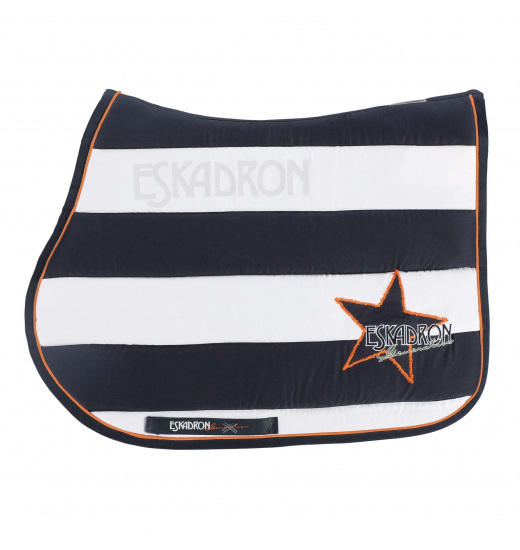 Quilted with horizontal stripes in contrasting colors. Lined with a quick-drying and perfectly moisture-receptive mesh.